For example 2500 kilometers in a kayak from Flensburg to the Polar Circle, 2000 kilometers around Lake Baikal in Sibiria, 6800 kilometers across Europe, 45000 kilometers offroad in a four wheel drive through Australia’s outback or to remote corners in Namibia, 3000 kilometers on foot through Japan, 2000 kilometers from Slowenia across the Alps to Nice or 8000 kilometers on foot from Los Angeles to St. John in New Foundland etc. etc. 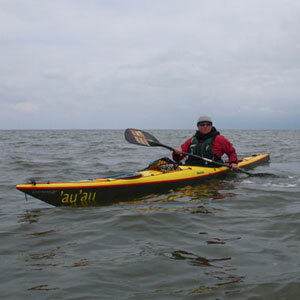 Detlev lives together with his partner Katrin Frommhold close to Bremen at the North German coast. Katrin joins most of his expeditions and documents the trips with her film camera for subsequent professional film productions.